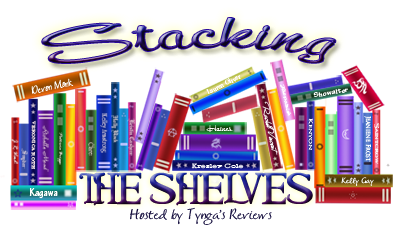 Stacking The Shelves is all about sharing the books you're adding to your shelves, may it be physical or virtual, buying or borrowing. This meme is hosted by Tynga's Reviews and I'm excited to continue partaking in it! What did you guys buy this week? As I don't have a massive amount of thoughts about either Witch Child or Sorceress, I decided to group them together and make one big post about the both of them. When Mary sees her grandmother accused of witchcraft and hanged for the crime, she is silently hurried to safety by an unknown woman. The woman gives her tools to keep the record of her days - paper and ink. Mary is taken to a boat in Plymouth and from there sails to the New World where she hopes to make a new life among the pilgrims. 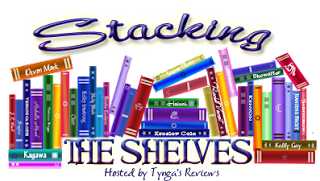 But old superstitions die hard and soon Mary finds that she, like her grandmother, is the victim of ignorance and stupidity, and once more she faces important choices to ensure her survival. I received this book from the publisher in exchange for an honest review. This in no way affects my opinion.